Human pressure on mountain resources poses certain threats to their natural and man-made environment. Although there are many parameters involved, one of the driving forces behind this situation is the emphasis given so far only to the market value of mountain goods and services, ignoring the true social and environmental costs of using mountain resources. Towards this direction, the use of non-market valuation techniques could prove to be beneficial. Bearing in mind the above remarks, the paper presents an application of the Contingent Valuation Method, which aims at estimating the monetary value of a mountain settlement’s vernacular architecture, namely Metsovo. For this purpose, the survey focuses on Metsovo visitors’ willingness to pay a single annual voluntary contribution to an institution that would be founded in order to undertake all necessary actions required to preserve the town’s traditional character. The results are very promising and indicate that vernacular architecture holds a significant economic value that could justify the implementation of appropriate policies towards the protection of vernacular settlements in mountain areas. Economics for the Environment Consultancy — EFTEC (2005) Valuation of the Historic Environment. The scope for using results of valuation studies in the appraisal and assessment of heritage-related projects and programmes, Final Report. Available at: http://www.english-heritage.org.uk/publications/valuation-historic-environment/ (Accessed: March 2010). Mountain Forum (1997). 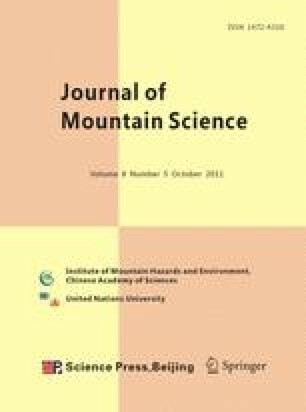 Investing in Mountains: Innovative Mechanisms and Promising Examples for Financing Conservation and Sustainable Development. E-conference report. Available at: http://europe.mtnforum.org/rs/econfreports/InvestingInMountains.pdf (Accessed: March 2010). Mountain Partnership (2002). Tourism. Fact sheet. Available at: http://www.mountainpartnership.org/files/pdf/factsheets/tourisme.pdf (Accessed: March 2010).